When browsing online, we always want to stay secure to reduce the chance of our information being stolen. This is especially important when browsing sites like Facebook or any social networking site. Our information that we are giving out on a daily basis could ruin someone if they aren’t careful to how they are giving out that information. Almost everyone in the world has a Facebook account, by now you’ve also seen your friends accounts get hacked or send out spam messages. This is due partly because they allowed an application to access their Facebook account or gave out information to an untrusted source. 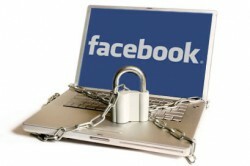 Facebook has offered the option to use an encrypted protocol (HTTPS). Users should check out this feature immediately and enable it as soon as you can. You can use this as an important step to keep your Facebook account safe from being hijacked on an open or poorly secured wireless network. By default, Facebook sends your access information with no encryption. Switching to HTTPS is important for anyone because of how easy it is to get information these days with a browser extension called Firesheep. This plugin has made it easy for the most amateur people to steal information on an unencrypted wireless network. HTTPS solves the problem by encrypting your login cookies and other data. Click on the tick box under ‘Secure Browsing (https)’. Hit ‘Save’ and your browser will automatically connect you to the HTTPS version of Facebook. Now that your account is enabled to use HTTPS, every time you login or visit Facebook you will be using the secure version of the social networking service. A general rule of thumb is to always use HTTPS where you can, it will help protect you and your information.